BARBIE has been blown out of the water this year, with toys from the Disney movie Frozen at the top of children's Christmas lists. 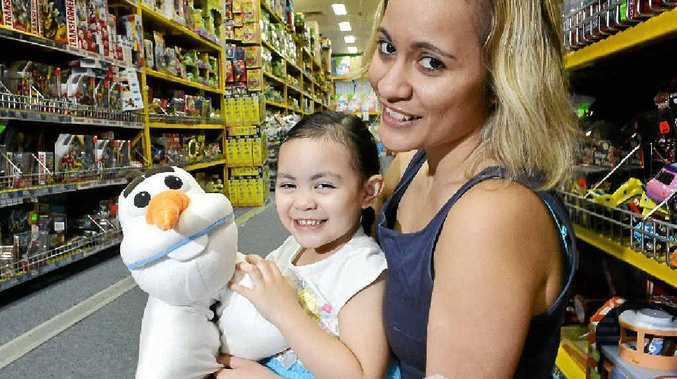 Redbank Plaza marketing manager Yasmin Chrzescijanski, who has a young Frozen-loving daughter herself, said that the Disney-themed toys were selling faster than any other item. "We've taken it off of shelves at Mr Toys Toyworld and moved it all to the front of the store because it had to be restocked so frequently," she said. "Our retailers have been working hard preparing for the holiday rush to make sure that all of the hottest toys are in stock with new lines arriving daily. "I have been blown away by the popularity of Frozen this year." 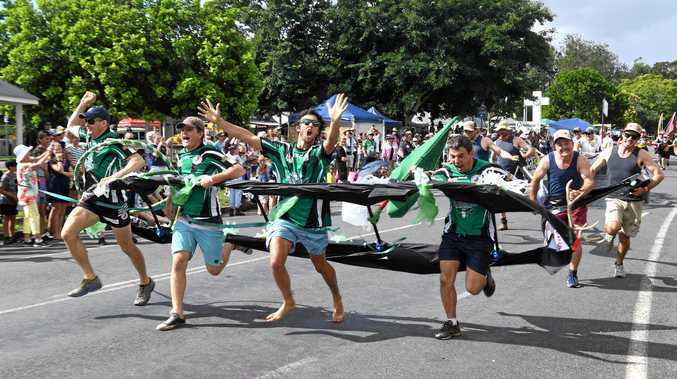 Redbank Plains mother Kim Mananu described her two-year-old daughter Paisley as a "die-hard Frozen fan". "In the last two weeks, we've watched the movie at least once every day," she said. "Paisley's got Frozen-themed outfits, toys, arts and crafts, she just loves it." The Frozen film franchise has taken the world by storm since its release in November last year. By June, it had already made $1.2 billion worldwide at the box office, making it the fifth highest-grossing film of all time. Ms Chrzescijanski said other popular items in Santa's sleigh this year included Nerf Guns and electronic pets Digibirds. Just in case parents have not had enough of the film, Redbank Plaza will be opening an interactive Frozen Playland in-store from December 15 to 20.